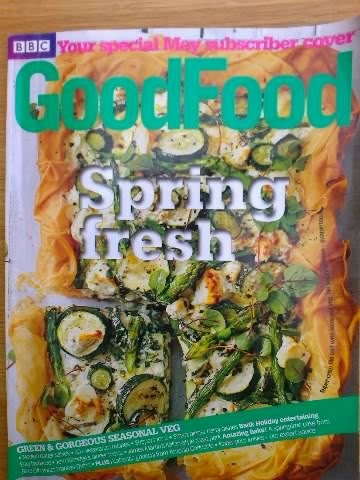 It can only be a coincidence that the dish featured on the cover of Good Food is almost a replica of that adorning the Olive publication for May - a filo tart of seasonal vegetables. But spring ingredients is also common to both magazines for May. What is surprising is to see so many recipes for 'in season' ingredients which are not yet available from home-grown sources. 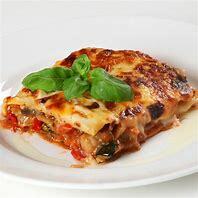 I have only just planted my broad beans plants, so it will be sometime yet before I can indulge in the featured dishes of Broad bean and dill pilaf or the Pappardelle broad bean carbonara. These May magazines are one month ahead of themselves in terms of my home-grown beans, carrots, lettuces and new potatoes, just for a start, and this just makes me a frustrated reader of Good Food Magazine. All that said, there are some exciting and inspiring dressed salad dishes to tempt you when the sun appears and you can sit on the patio and enjoy the British summer. Likewise the feature on 'Quick-fire barbecue' will get you in the mood for a long hot outdoor-eating experience. 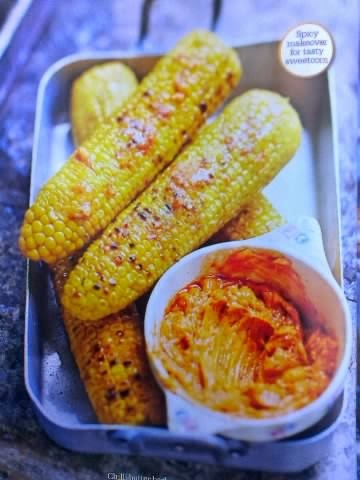 Good Food calls it an 'impromptu' barbie, but recipes for dishes like Lemony spiced houmous and Chilli-butter corn (below) that require ingredients such as harissa and pine nuts, can hardly be prepared impromptu. Supposedly all the barbie recipes featured can be 'thrown together at short notice' say Sarah Cook. They also all only serve six guests - hardly a realistic number for a barbecue. The last outdoor meal we served had 20 guests! 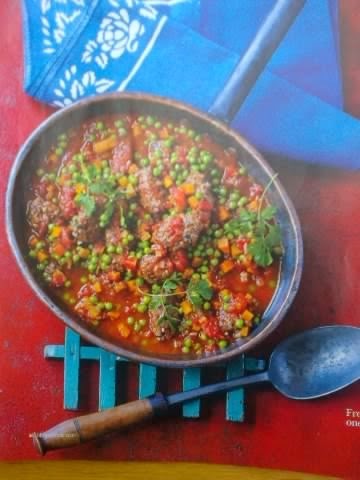 I enjoyed the article on Middle Eastern food with Rawia Bishara detailing easy versions of traditional recipes including veg dips, Sweet pea and kafta stew (below), Red pepper and walnut spread and a dessert of Coconut semolina cake. 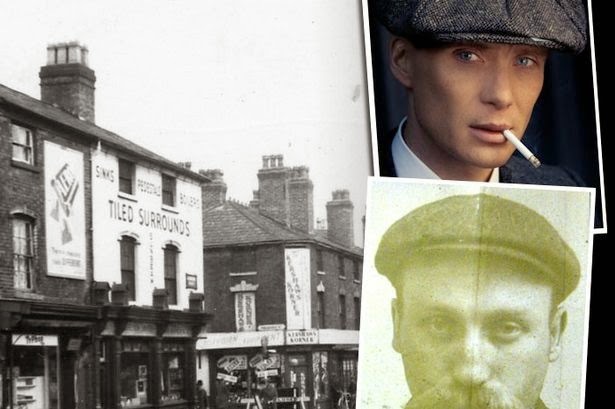 Pleasingly, the range of ingredients were easily accessible and any thought that one had to seek out some exotic product to produce the dish was unfounded. If one has a wide range of herbs and spices available like coriander, cumin and cardamom then you are away! Just remember that seasoning is a personal choice - season the food to your liking and your taste buds. As one might expect from a BBC publication, the May edition gives a page to Harrogate, the host to the BBC Good Food Spring Show, but it also promotes the brand new food festival in Bristol (below). 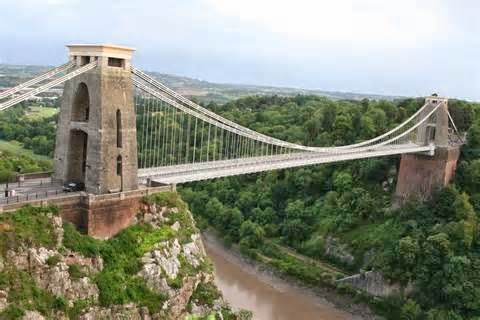 For 11 days, Bristol, will be abuzz with everything from cookery classes to artisan markets, as the festival is launched across the city. Chefs such as Tom Kerridge, Monica Galetti and Ken Hom will cook and BBC Radio 4's Food Programme will broadcast the Food and Farming Awards Show from the festival. When is it? - 1st to 11th May. 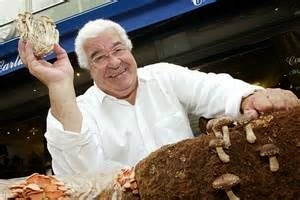 Finally, you can't beat fresh home-made pasta and if there is one article that is worth the price of May's Good Food Magazine, then it is 'Learning to make authentic gnocchi' with Italian TV chef Antonio Carluccio (below). He takes the reader step by step, with detailed photos, through the recipe and the process, revealing all his 'tricks' in making the perfect gnocchi. Unlike most pasta recipes, that forget to tell you the type of flour you need, Carluccio spells out the importance of using only '00' flour. This 'doppio zero' flour is finely milled and comes from a softer wheat with a medium gluten content and means you get a lighter and less sticky result. ('00' floor is available from larger Sainsbury's stores at £1.10 per kilo). PS. My friend, 2013 BBC MasterChef finalist Larkin Cen, makes a delightful Chocolate dessert on page 138 - don't miss it!